The UK’s leading air navigation services provider NATS has signed an historic agreement with the Japan Air Navigation Service (JANS), paving the way for a joint approach to air traffic management in Japanese airspace above the 2020 Tokyo Olympic Games. 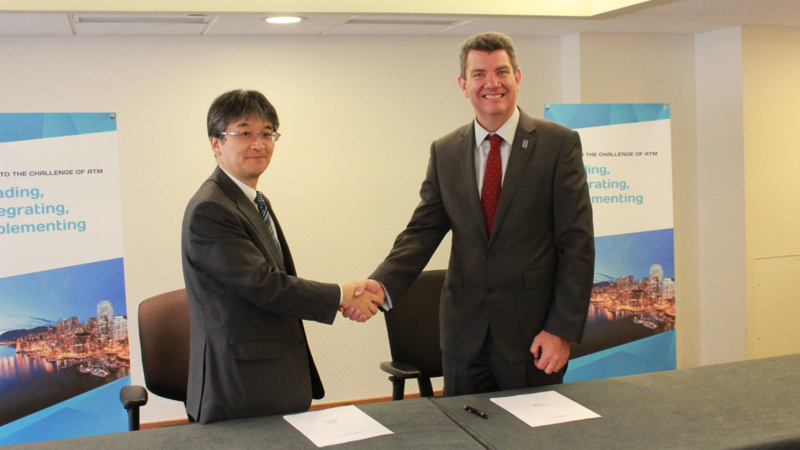 During a ceremony in Vancouver, Canada, NATS Chief Executive Martin Rolfe and Hitoshi Ishizaki, in his role as Director General of JANS, last month signed a Letter of Intent (LoI) for bi-lateral cooperation – the first of its kind linking a foreign air navigation services provider with a government-backed Japanese agency. The ground-breaking agreement builds on a close relationship between NATS and JANS, its Japanese counterpart, that was established two years ago when the two air traffic management specialists signed up to a Memorandum of Understanding (MoU) outlining their broad commitment to working jointly. While the 2014 MoU led to an ongoing exchange programme aimed at sharing industry knowledge and best practice technologies, the more specific, project-based LoI provides a foundation for NATS to support JANS in its extensive event preparations and is expected to bring clear benefits for organisers of the 2020 Tokyo Olympic Games. Martin Rolfe, CEO at NATS, said: “This signing marks an exciting first for NATS and the strengthening of an important business partnership that will see us working together with JANS for many years to come. “The historic agreement is the culmination of a great deal of hard work on both sides and bears testament to a strong ongoing relationship that NATS holds in high esteem and that has already been very fruitful. NATS is currently structuring a series of consultations with JANS aimed at laying down detailed operational plans to deal with the expected spike in air traffic before, during, and immediately after the Tokyo Games.